The city of Anacortes is located on Fidalgo Island, off the coast of northwest Washington. It is part of Skagit County and is situated on Padilla Bay, just east of the San Juan Islands. Fidalgo Island is connected to the mainland and to Whidbey Island, its southern neighbor, by bridge, making it a popular home for military families stationed at NAS Whidbey Island. It is also conveniently located between the major cities of Vancouver, British Columbia, and Seattle. The population of Anacortes is about 16,000. 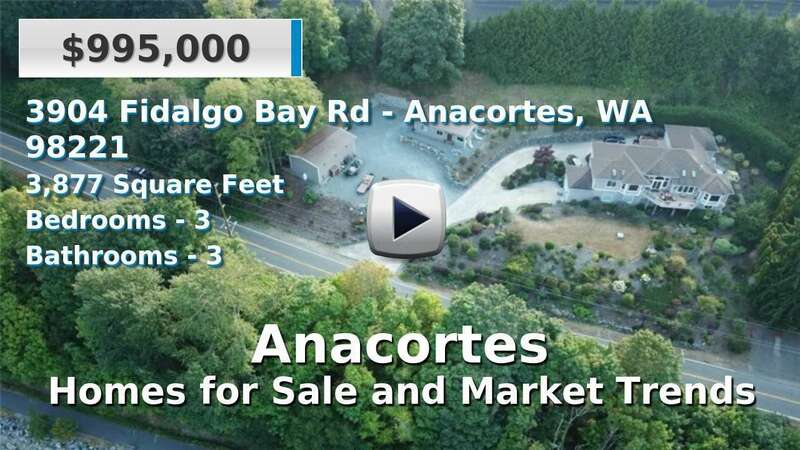 In general, homes for sale in Anacortes are newer than those in Skagit County as a whole. Luxury estates, waterfront condominiums and renovated homes with large yards, are just a few of the choices home buyers will find in what has been called one of the best “small towns” in America on several occasions. World class whale watching and kayaking make the city a popular destination, as does its reputation as one of the most scenic places for a road trip. 3 Beds | 2.25 Baths | 2190 sq. Ft.
3 Beds | 3.25 Baths | 2161 sq. Ft.
3 Beds | 2 Baths | 1904 sq. Ft.
2 Beds | 2.5 Baths | 2480 sq. Ft.
2 Beds | 2.5 Baths | 2008 sq. Ft.
4 Beds | 2.25 Baths | 2686 sq. Ft.
2 Beds | 2.25 Baths | 2016 sq. Ft.
4 Beds | 3.5 Baths | 2922 sq. Ft.
4 Beds | 2.5 Baths | 1996 sq. Ft.
4 Beds | 2.5 Baths | 2452 sq. Ft.
2 Beds | 1 Baths | 929 sq. Ft.
3 Beds | 1.75 Baths | 1233 sq. Ft.
3 Beds | 2.5 Baths | 2429 sq. Ft.
5 Beds | 2 Baths | 2433 sq. Ft.
2 Beds | 1.75 Baths | 1168 sq. Ft.